This is a fan base web site and we would like to encourage everyone to contribute their personal stories, thoughts and related articles to this site. Lets make this a Worldwide Web Site. 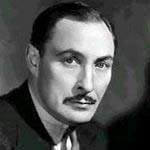 As our membership base grows, we hope to begin organizing theater showings of Lionel Atwil Movies and have Special Events. But, we need your help and membership. We always welcomes your input and if you have any comments and/or suggestions, please forward them to us.